Aggregate of very elongated prismatic Witherite crystals with very well defined faces and edges. They are translucent, slightly yellowish and are partially coated by a thin white coating of the same Witherite. The sample is with a label from the L. Rosciglione collection. An aggregate of witherite crystals with the faces of the prism and the pyramid forming cyclic twins. 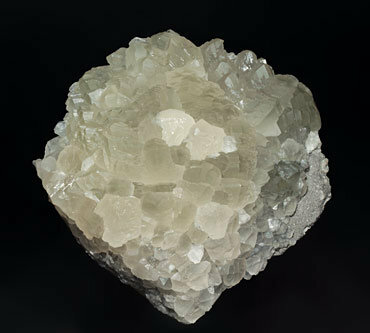 The crystals are translucent and lustrous and have a slightly yellowish color. Like so many specimens in this collection, this one is of great quality for the locality. Two partially doubly terminated crystals, one of them clearly dominant, isolated and with very well defined faces and edges, which is really uncommon for Minerva I Mine samples. 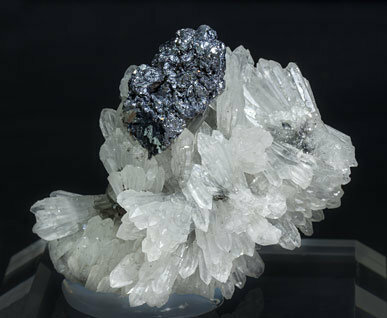 The Witherite is on a matrix partially coated by small white Alstonite crystals. The sample is from the Martin Zinn collection, whose label we’ll send to the buyer. 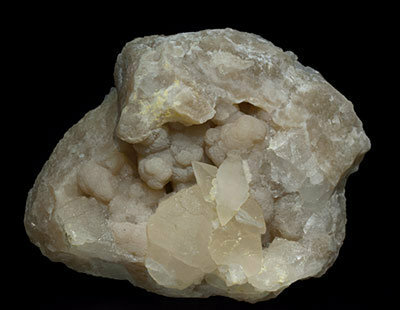 Aggregate of dipyramidal Witherite crystals. 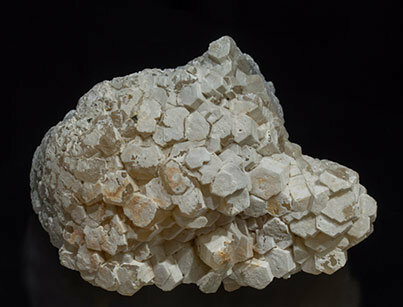 They are translucent, slightly yellowish and are on matrix, with botryoidal Barytocalcite aggregates. The sample is with a previous label of the Ralph Sutcliffe collection. As is the case with so many specimens in this collection, the sample is of great quality for the locality. 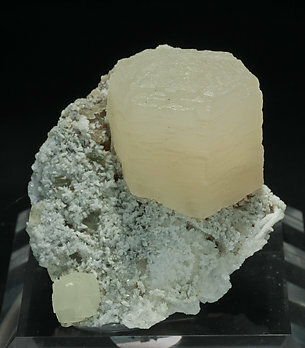 An intergrowth of two crystals on a matrix of very acute Calcite crystals. 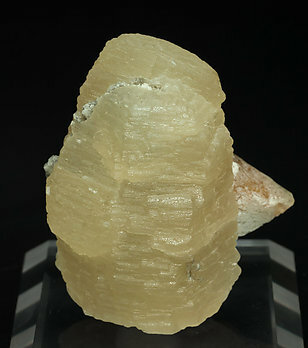 The crystals of Witherite, yellowish in color, are formed by a thick prism, horizontally striated, and much flattened and slightly curved rhombohedral terminations.